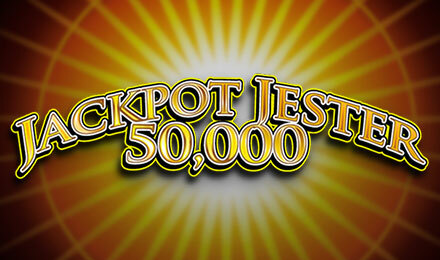 Enjoy Jackpot Jester 50K slots today and stand the chance to trigger a 50,000K jackpot! Have fun on the dual reel slot game while accompanying the Jester! Created by NextGen Gaming, Jackpot Jester 50K slots is set in a real Las Vegas atmosphere. The 3 reel and one payline slot game has more than meets the eye! The dual slot game features the classic slot symbols and allows you to set your bet as from 0.02p. The goal of this game is to match similar symbols on the reels across active paylines. Bet ten coins and play the base game or bet twenty coins and let them get transferred into your Super Game account (second set of reels).